It takes a master craftsman many years from when they first possess their tools to become expert in their use. They will serve an apprenticeship in which they will be faced with new and escalating challenges and in conquering these challenges they will learn new ways to wield their tools, with evermore potency. Leadership is no different; its mastery comes from not purely the acquisition of tools and know-how taught in traditional management and leadership programmes, but from years of applying and honing this knowledge into real life experience to develop into a dextrous leader able to deal with the most complex of leadership challenges. The dexterity in leaders however, has less to do with their hands, but their mindset, which is encompassed by how they view a particular leadership challenge, what meaning they give to it, their role in resolving it and their capacity to then call upon a wide repertoire of well-honed responses and be choiceful in the response which is deemed most appropriate. The juxtaposition of this is “if you only have a hammer, you tend to see every problem as a nail”. A particular form of one-to-one coaching (referred to as developmental or transformational coaching) is a well proven intervention to accelerate a leader’s mindset development. However, this is not a cost-effective solution for any large number of individuals, especially in the cash strapped NHS of today and tomorrow, so this leadership development programme was born out of the necessity to complement traditional leadership and management development programmes and provide participants with some of the potency that developmental coaching provides, but in a very cost-effective and expedient way. 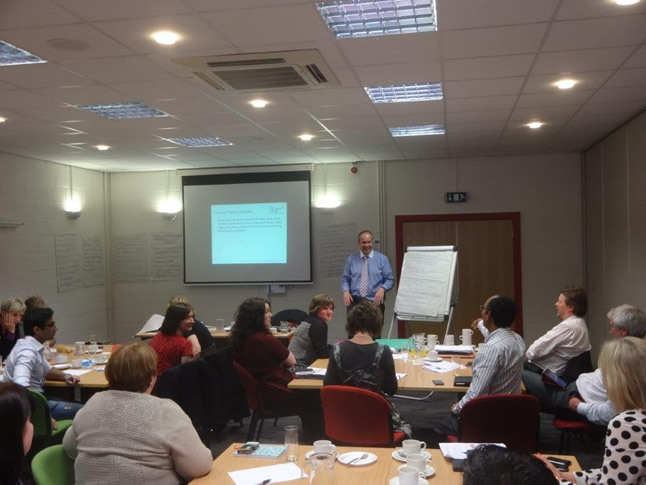 This senior leadership programme is aimed squarely at any member of the Governing Body including GPs, clinical leaders, locality leads, managers and lay people who want to enhance their capacity to lead more adeptly in the senior and often difficult roles they now find themselves in during these times of uncertainty and complexity. Having worked with over twenty CCGs over the past two years, it is clear to us at Starr Performance that the continuing high rate of change in the NHS risks outpacing the current capacity of CCG Governing Bodies to respond and keep pace. For more information on the two-day programme please download the programme brochure here – and for those with a curiosity around the elements of mindset shift please refer to the series of blogs on this website entitled “successful senior leadership – it’s all in the mind”. The two day programme including one telephone coaching session, costs £700 per person. Open programmes run regularly, starting on 29 April 2014.